You can purchase the Kids Wings literature guide for The Mysterious Matter of I. M. Fine by Diane Stanley for immediate download! Only $8.95! Click here to purchase and download! Franny and Beamer witness a series of very strange events and begin to investigate. To their horror, they uncover a sinister plot to destroy modern civilization. Will anyone listen to the evidence they uncover or will they have to tackle this giant themselves? 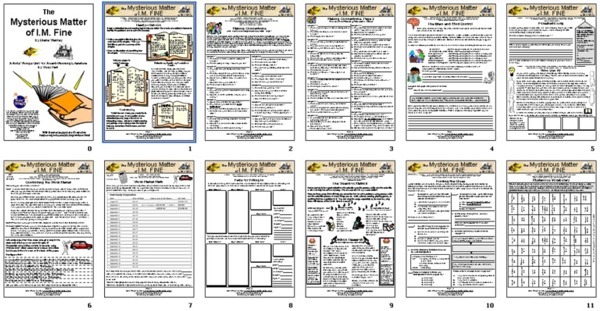 The Kids Wings literature guide for The Mysterious Matter of I. M. Fine, perfect for lesson plans, handouts, or projection on your SmartBoard, is now available!